If you’re a Mac gamer looking with disappointment at this year’s holiday gaming releases, take heart, for BioWare and TransGaming may have just granted you an early present—Dragon Age: Origins is coming to the Mac later this month. The critically acclaimed title was first released for the PC and console systems in early November, and the quick turnaround time on the Mac version is a welcome surprise. The dark fantasy epic, from the makers of Mass Effect and Star Wars: Knights of the Old Republic, will be available for Mac players to download on December 21. Mac gamers often have to wait months (if not years) to see their favorite titles ported to the Mac platform. 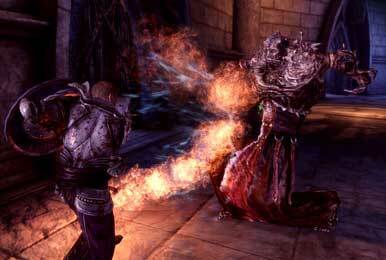 But TransGaming is planning on releasing a Mac version of Dragon Age: Origins mere weeks after its initial launch. Vikas Gupta, President and CEO of TransGaming, credits TransGaming’s use of Cider Technology for the quick-turnaround time. Players will have the option to download two different versions of the game, Standard and Digital Deluxe. 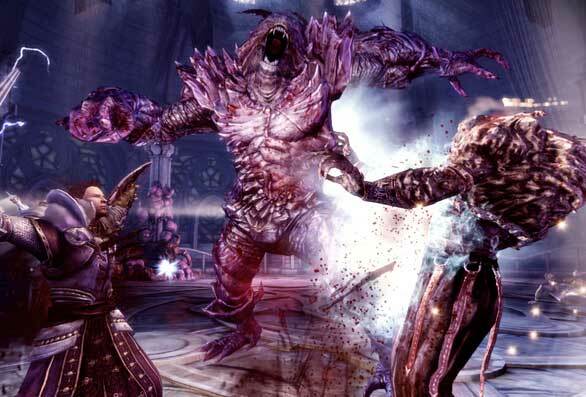 According to the TransGaming and BioWare press release, the Digital Deluxe version will feature additional content including: “a collection of wallpapers, in-game bonus items, the game’s soundtrack and the Warden’s Keep additional content.” The “Warden’s Keep” is a new dungeon-exploring add-on adventure that depicts the darkest hour of the Grey Wardens. There’s also new loot including a set of ancient Grey Warden armor, a “chance” to gain two to six new abilities, a new base complete with merchants and a party chest to store items. Each version of Dragon Age: Origins for the Mac will also include The Stone Prisoner and the Blood Dragon Armor add-ons. The Stone Prisoner add-on gives players access to new environments, items, and the mighty stone golem, Shale, who the developers claim, “can become one of the most powerful party members in the game.” Additionally, players will receive the Blood Dragon Armor add-on, a set of themed armor that gives players additional protection in combat and will be available for use in both Dragon Age: Origins on the Mac and in Mass Effect 2 on the Xbox 360 and PC. The Standard and Digital Deluxe versions are available now for pre-order. Dragon Age: Origins will run on Mac OS X 10.6.2 Leopard or higher and requires an Intel Core 2 Duo Processor, 2GB of RAM, an ATI X1600 or NVIDIA 7300 graphics card or better, and at least 17GB of hard drive space for installation. The game will not run on PowerPC-based Macs or Intel Mac that use Intel GMA video cards.